Each year, Weizmann hosts the greatest safe-cracking competition known to high schoolers - The Annual International Physics Tournament. Juniors and seniors in high schools form teams and take on the challenge: Build a safe that only your team can open, and then try to open the safes of all the other teams. 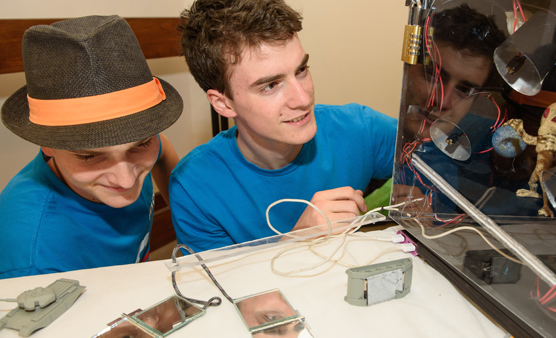 Each team builds a locked box that operates on the principles of physics, able to be opened by you in less than five minutes, but that will keep opponents stumped for at least 10 minutes. 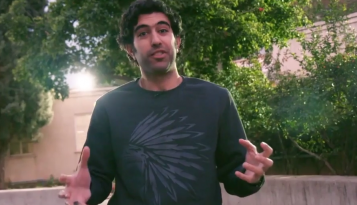 Students from all over the world compete in regional semi-finals for the chance to represent their country at the International tournament final in Israel. Here in Canada, our semi-final tournament takes place each February in Montreal, with teams from both Montreal and Toronto taking part. 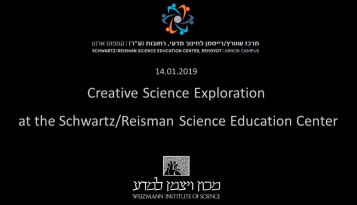 The two winning Canadian teams travel to the Weizmann Institute of Science for the final competition, where the the two-day showdown takes place at the Davidson Institute of Science Education. Entries are scored by a panel of judges, not only for being pick-proof, but also for aesthetics and originality. Teams get added points for every safe they manage to crack. Contact NathalieK@weizmann.ca for more information about this exciting opportunity!